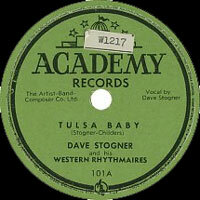 Chanteur et fiddler US né David Stout Stogner, le 15 Mai 1920 à St. Jo (Texas), Dave Stogner a débuté à la fin des années trente et a enregistré pour Decca et Mosrite Records. Il est décédé le 17 Mai 1989 à Fresno (Californie). 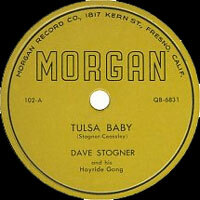 Born David Stout Stogner, 15 May 1920, St. Jo, Texas, USA, d. 17 May 1989, Fresno, California, USA. 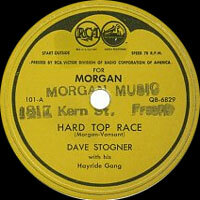 Born into a large and musical family, at the start of his teenage years Stogner was playing fiddle in the family band. 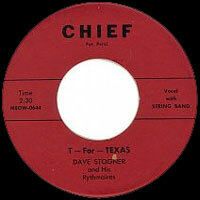 Two years later he played as a sideman with others and soon formed his own band for dance dates in Texas and Oklahoma. 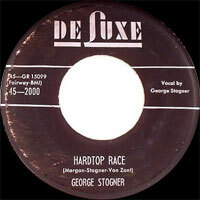 Over the next few years he also appeared on radio. After World War II ended he settled in Fresno, California, leading his own band, the Western Rhythmaires, and was heard regularly at dance dates mainly in the San Joaquin Valley area and on radio. 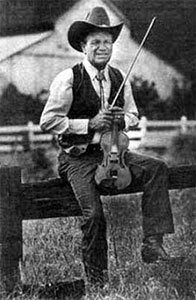 He also made some records in the 50s for Four Star Records and Decca Records, on some of which he was joined by virtuoso fiddler James C. ‘Joe’ Holley. 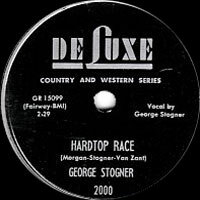 Stogner visited Nashville, Tennessee, striking up friendships and working relationships with many noted country music artists, some of whom he booked into the Big Fresno Barn where he was a big local favourite. 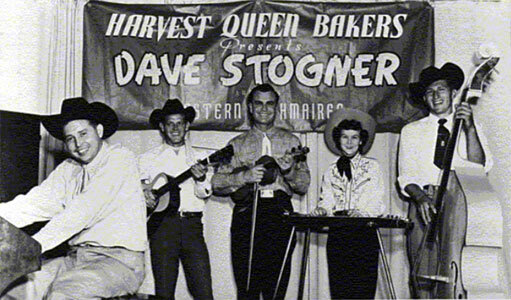 Playing mainly in the western swing mode of musicians such as Milton Brown and Bob Wills, Stogner’s band started out as a quintet but later became a septet. 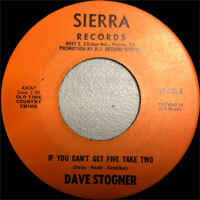 Stogner chose to stay close to Fresno, playing the Big Fresno Barn weekly throughout the 50s and he also had a five-times weekly television spot in the region. 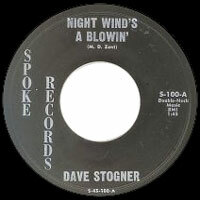 Stogner received several honours, including becoming a member of the Rockabilly Hall of Fame, and the Western Swing Hall of Fame. 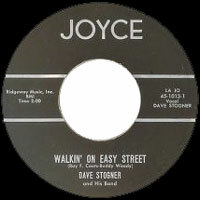 One of Stogner’s two sons is Daryl Stogner, who played in his father’s band for several years, and later embarked on a solo career. 1950 78 t. & SP ACADEMY 101 (US) . 1950 78 t. & SP ACADEMY 102 (US) . 1951 SP MORGAN 45-101 (US) . 1951 SP MORGAN 45-102 (US) . 1951 SP MORGAN 45-104 (US) . 1955 SP JOYCE CR 1013 (US) . 1955 SP JOYCE CR 1014 (US) . 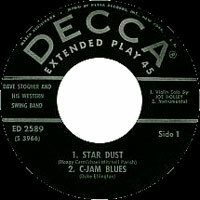 11/1956 SP 4 STAR 1703X45 (US) . 1961 SP CHIEF ? (US) . 196? SP SPOKE 100 (US) . 10/1975 SP SIERRA SR 100 (US) .